The March is called Full Worm Moon in some Native American lore, according to The Farmers’ Almanac. It was so named because the warming weather and the warmer rains caused the worms to rise to the top of the soil, where they sometimes drowned. For my college roommate, walking across campus after a rain caused a lot of screaming terror because she hated the signs of dead worms on the sidewalks. For someone raised with a multitude of male relatives, this behavior was almost incomprehensible. I learned early not to be repulsed by insects, worms, and other creepy animals, living or dead, that might been left out for an unsuspecting girl. As a young person who was a little weird and then as a pagan, I learned to have a fondness and even a love for creatures with bad reputations or a less than normal appearance. Bats, spiders, snakes, vultures and more were interesting. Later, I learned they were sacred to various deities as guardians of the darkness, of death, and of those borderlands most preferred not to travel. Life brings us to the edge of those borderlands and sometimes pushes us in. If already know and understand its creatures, we then have allies and friends as we move into uncharted territories. 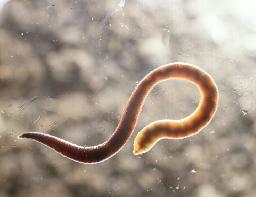 The earthworm is a sure sign that spring is on its way. In March, in the cold regions of the northern New York, it’s hard to believe that spring will come. We are still shivering in below freezing temperature and looking to the skies for snow. And yet deep within the awakening earth, the earthworms are working their magic and will soon rise to the top to create the new and ever-renewing fertility of the earth, of springtime.